I know that there are many nutritional supplements that purport to treat a condition or make some claim to that effect. Of course, there are laws in place that make it mandatory that there must be scientific proof that this is actually the case if it is to be advertised that way. But what if I told you that if you took this one nutritional supplement, your risk of developing heart disease could be reduced? Lycopene is a red-pigmented chemical found in high concentrations in tomatoes. This chemical has some very special properties: lycopene has previously received a great deal media attention for extensive research into its intrinsic ability to lower the rates of prostatic cancer. Lycopene is a strong antioxidant and is considered a carotenoid similar to the compounds found in carrots, watermelons, and papaya, among other fruits and foods. Lycopene can be converted into various types of carotenes, including beta-carotene, and it is fat-soluble, which allows the compound to access areas that water-soluble chemicals, like vitamin C, cannot. Lycopene is carried by different fat molecules, like LDL cholesterol, and deposited into blood vessels, fat cells, and organs. It is a very important antioxidant that can absorb free radicals and prevent damage to fatty cell membranes. Now, another major benefit may be added to lycopene’s list. A recent study has indicated that this chemical may be able to help people who have advanced forms of heart disease. This study looked at 36 adults suffering from known cardiovascular disease and 36 healthy controls who were randomly assigned to one of two groups, receiving either seven milligrams of a lycopene supplement or a placebo pill. The trial lasted for two months. The study revealed that the participants who were receiving the lycopene and had heart disease experienced a 53% improvement in the function of their blood vessels (endothelial function) at the end of the two months compared to their levels at the beginning of the study, when they were not receiving the lycopene. The lycopene supplement did not affect the healthy control participants. The news of this study is not surprising, given the large body of information that indicates that the consumption of deeply colored vegetables and fruit high in lycopene is associated with lower rates of cardiovascular disease, stroke, and diabetes. Such is the case with the Mediterranean diet. The effects of foods on people and their subsequent risk for disease can be easily understood after considering the effects of this type of nutritional program. However, the effects of the Mediterranean style of eating are cumulative and cannot be attributed to one particular food or nutrient. 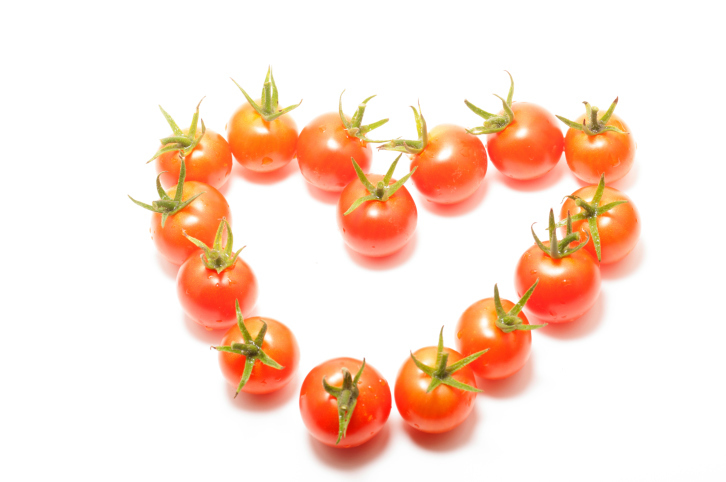 Having said that, it is also important to realize that lycopene can help improve endothelial function by reducing free radical oxidation of LDL cholesterol, decreasing the adherence of particles to the inside of artery walls, reducing inflammation, and improving the secretion of nitric oxide, which relaxes arteries, allowing for greater blood flow. My recommendation is to simply consume more brightly colored vegetables, like tomatoes gently heated with extra-virgin olive oil to release the lycopene, and fruit high in carotenoids at least three to four times per week. Blaszczak–Boxe, A., “‘Tomato Pill’ May Improve Blood Vessel Function in Some Patients,” LiveScience web site; http://www.livescience.com/46201-tomato-pill-lycopene-blood-vessel.html. Gajendragadkar, P., et al., “Effects of Oral Lycopene Supplementation on Vascular Function in Patients with Cardiovascular Disease and Healthy Volunteers: A Randomised Controlled Trial,” PLOS ONE June 9, 2014; doi: 10.1371/journal.pone.0099070.